The old adage of ‘fail to prepare, prepare to fail’ is a statement that is very relevant when it comes to the world of audio recording. 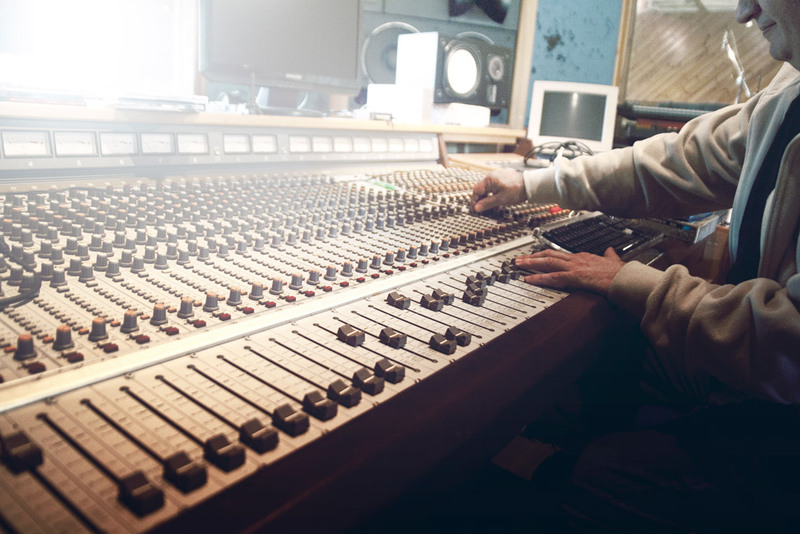 All too often, artists are coming away from the studio with results they’d wish to forget. To avoid this disappointment, one must prepare through undertaking some form of pre-production.This can be done either as a group or ideally in tandem with the record’s producer. The more prepared you are going into the studio, the more fun it will be for everyone involved. That way you’ll be more relaxed and in a far better position to capture the recording you really want. Get a demo of your song recorded on a phone or laptop. Listen back objectively with a trusted friend/musician and ask yourself; Is this song worthy of a professional recording? What areas of the song can I improve on? Can the overall sound be tighter/more rehearsed? Tempo (BPM) is very important in any recording. If you can practice playing/grooving to a click it can help massively in terms of achieving a coherent and consistent sound. It will also be a life saver when you come to the stage of doing overdubs on the track. At the very least you should know what tempo you want for each song going into the studio. What do you want the record to sound like? Find out the finest details of how your biggest influences recorded their albums. For example, you want to sound like the Arctic Monkeys? Well then figure out how from a technical point of view they got their snare drum sounding so good. That’s the level of detail and beyond you need to be going into when you prepare for the studio. Use your time wisely in the studio. In pre production, plan your time conservatively (drum kits can take an age to setup!). Its better to come away with one song that you’re really proud of than fifteen that sound rushed and ill conceived. As artists we can fork out a lot of money to make a record. Do some research before you decide who is going to record/mix your album. Make sure they know what sound you want and how to achieve it. No point trying to make a thrash metal album with a guy who only knows country and western! Eoin Dolan is a singer-songwriter and producer from Galway City on the west coast of Ireland. He released his debut EP ‘Placid Ocean’ in September 2014 and has since played a string of high profile gigs including the Breaking Tunes Music Trail, the Hard Working Class Heroes Festival and the MTV Crashes Cork Music Trail. In 2015 he joined independent record label Citóg Records. His music blends the sound of an endless summer with an easy going nostalgia to create a repertoire of surf/folk/pop songs that echo Brian Wilson, Syd Barrett and John Lennon. His song writing is steeped in the imagery and atmosphere of a vintage seaside town and his heart breaking melodies, reverb drenched vocals and gentle instrumentation call to mind some of the sadness and beauty of 1960s surf pop. I simply want to mention I’m new to blogging and site-building and absolutely loved your web page. Most likely I’m likely to bookmark your site . You certainly have tremendous writings. Appreciate it for sharing with us your web site. Hi, Neat post. There’s a problem along with your site in web explorer, would check this¡K IE nonetheless is the market chief and a large component to other folks will pass over your great writing due to this problem.